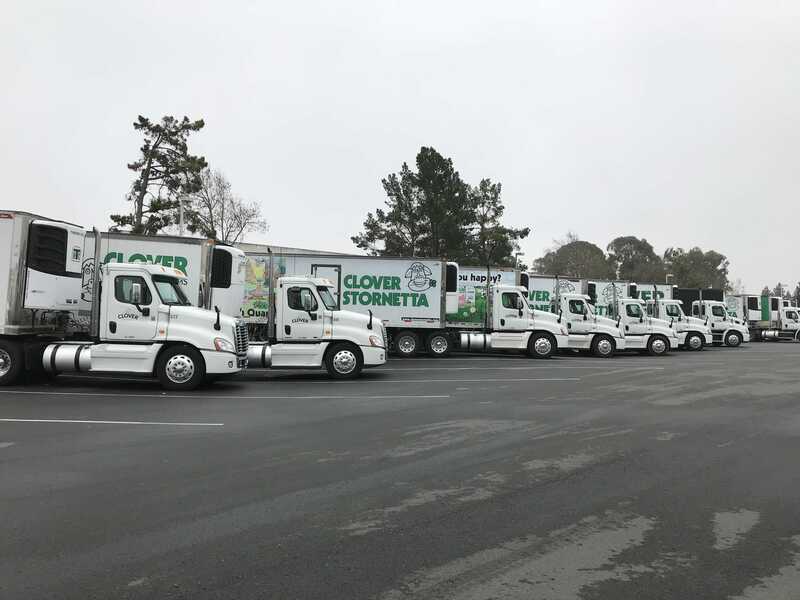 Clover has a local fleet of 43 tractors, 58 refrigerated trailers, 2 dry-van trailers, and over 50 drivers distributing dairy products across a 100-square mile radius in California. They deployed more than 50 Samsara Vehicle and Asset IoT Gateways, along with wireless door, cargo, and temperature sensors. Real-time visibility makes it possible to monitor route progress, answer delivery-related questions, and reduce impact of vehicle breakdowns. Two-way reefer control is used to change reefer settings remotely to ensure quality, reduce spoilage, and save time. Historical tracking provides evidence of on-time delivery to reduce rejected orders. That’s the motto at Clover Sonoma’s Petaluma headquarters (the cow puns only start there). 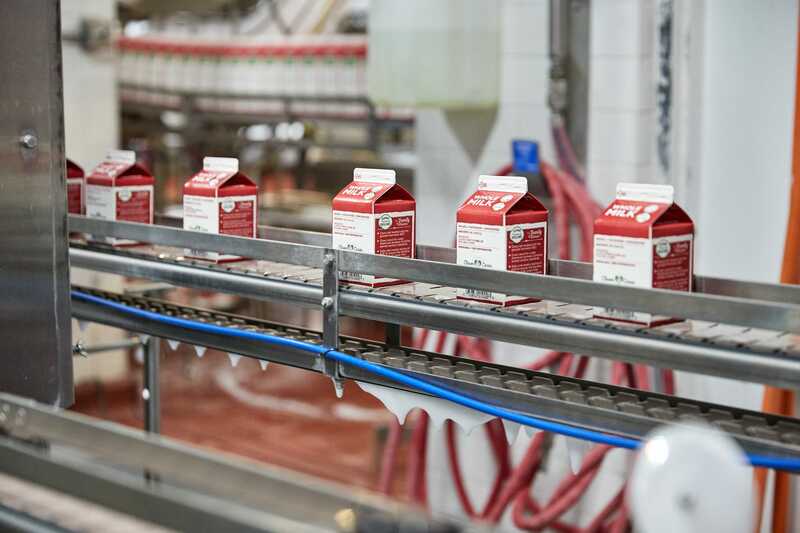 Founded in 1916 as a local cooperative, Clover Sonoma is now a household name for dairy products across California. 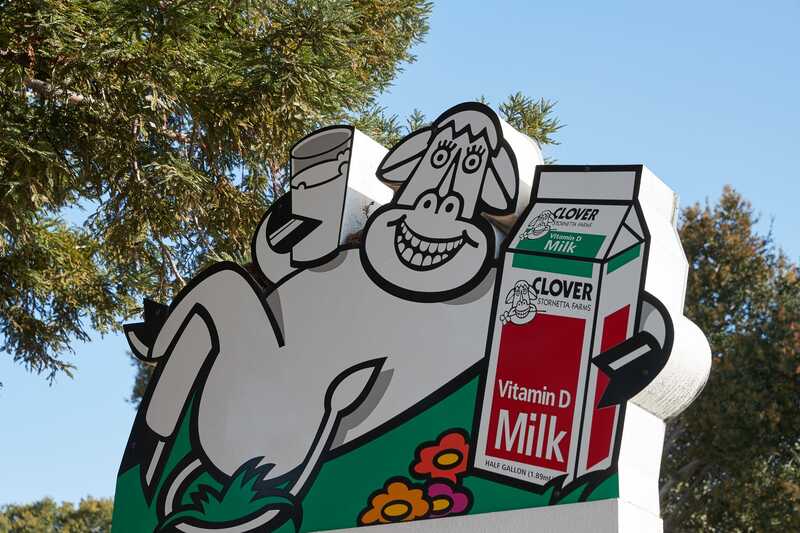 Most famous for its milk, Clover has expanded to sell butter, eggs, ice cream, yogurt, eggnog, cheese, and more. 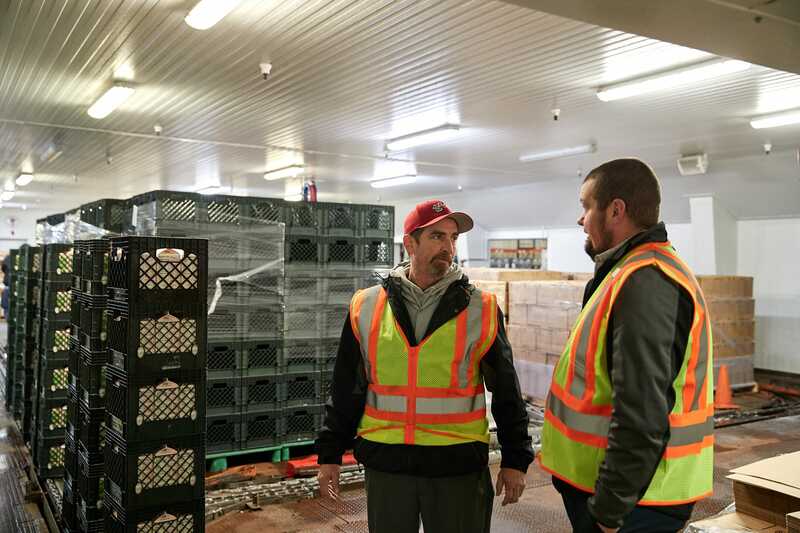 Given their commitment to excellence, it was no surprise when the distribution department at Clover decided to evaluate new technologies to optimize deliveries and boost customer service. The team tested several fleet tracking solutions and chose Samsara for its accuracy and real-time updates. Paul Drake, Clover’s Distribution Manager, says Clover chose the platform because “it’s right to the minute. Most other companies update every 2 or 5 or 10 minutes.” Today, Samsara helps Clover respond to customer inquiries, remotely control their reefers, analyze delivery progress, and simplify maintenance. “We get calls from customers asking where a truck is all the time,” says Paul. With Samsara vehicle gateways installed in all of their delivery vehicles, Samsara helps Clover reduce the stress and time burden of customer calls. Paul keeps the Samsara dashboard open all day, so when the phone rings, he looks at his computer and quickly sees the real-time location of his trucks. Paul can confirm whether or not a truck is pulling up to a delivery site, delayed by traffic, or missed a stop. Using Samsara’s routing features, he even has the option to set up alerts and notify customers about delivery status automatically. Typically, customers call with arrival time questions, but once in a while, Paul receives the dreaded call about a rejected load. Late last year, a major chain called to reject Clover’s delivery because it was an hour late to the unloading dock. In the past, Paul had no way to defend his drivers; but with Samsara, he confirmed that the delivery truck had not just been on time, but 15 minutes early. Paul shared the report, and the grocery chain quickly changed its story, saving Clover thousands of dollars. Now, Clover has door and cargo sensors installed on trailers, which lets Paul see when a trailer is opened and unloaded to get even greater insights about product quality and delivery status. Clover has over 100 delivery routes, and as a growing company, they are frequently adding more. In the past, they created net new routes to meet growing demand, which required large upfront investments; but this year, given the national driver shortage and benefits of a new fleet tracking system, Paul took a different approach. Looking at his routes and trailer utilization, he realized he could consolidate three routes into two to make better use of his existing trailers and drivers. Paul successfully expanded Clover’s distribution reach without any new costs. This change alone paid for the investment in Samsara and more. By providing visibility into real-time truck location and historical route data, Samsara has saved Clover thousands of dollars and helped ensure customer satisfaction. Paul admits that he has only just touched the surface of what Samsara’s complete platform offers, but that makes it even more exciting to him. The best is yet to come.